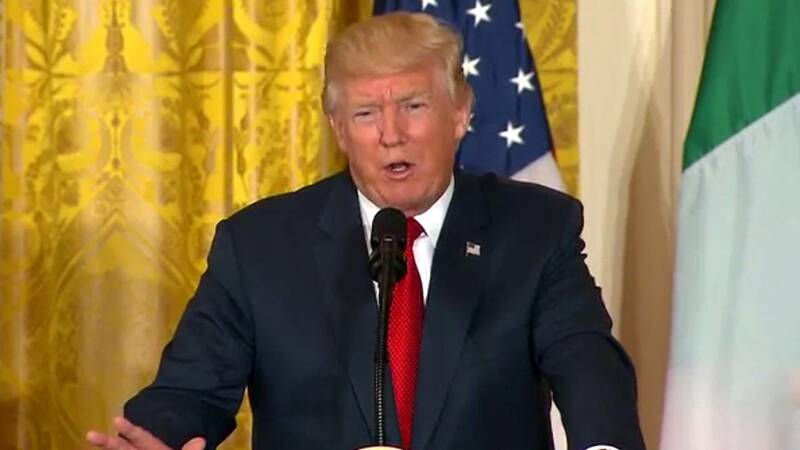 WASHINGTON (CNN) - President Donald Trump said Saturday he will make a decision next week on whether the United States will withdraw from the landmark Paris climate accord. The President teased his decision about the hotly debated topic in a tweet early Saturday morning Eastern time during the final leg of his first presidential trip abroad. Trump met with world leaders this week at the G7 Summit in Sicily where many set out to lobby the US president over staying committed to the climate agreement. However, in the official dispatch from the G7, which all countries typically sign onto, the US did not join the climate section of the communique. The document stated while the leaders of Canada, France, Germany, Italy, Japan and the United Kingdom and the presidents of the European Council and of the European Commission are reaffirming their commitment to the Paris agreement, the US "is in the process of reviewing its policies on climate change and on the Paris Agreement and thus is not in a position to join the consensus on these topics." Trump, who ran for president vowing to rip up the agreement, listened carefully to his new counterparts and is "evolving" on the issue, according to a top aide. The rift is one of several emerging disagreements between Trump and other world leaders. Differences over trade and Russia have also arisen in talks. German Chancellor Angela Merkel told reporters the climate debate was "controversial" and that the leaders of the other G7 nations -- France, Japan, Canada, the United Kingdom and Italy -- all urged Trump to remain a part of the 2015 agreement. Merkel left the summit telling reporters that the climate talks in particular were "very unsatisfactory." In his final address to the G7 meeting, French President Emmanuel Macron struck a more positive note, saying of the US' final decision on the Paris accord, "My hope is that the (US) fully remain in the Paris agreement. The United States have a financial commitment in the 'green fund.' I told Trump that (France's) commitment compared to our GDP is bigger than theirs and that they are not the ones who pay the most. Trump is a pragmatic person, I hope he will confirm his commitments, perhaps at his own pace." British Prime Minister Theresa May told reporters that the G7 leaders agreed that climate was a priority, despite the fact that Trump is still mulling over his final decision. "The United States is considering its position in relation to these matters and what its policy is going to be, but there was no doubt around the table about how important this issue on climate change is," May said. "We were all very clear about that and about the role of the Paris agreement." Aides to Trump said he was listening with an open mind to the other leaders' arguments about Paris, but had yet to decide whether to withdraw the US from the pact. "I think he learned how important it is that the United states show leadership," Trump's chief economist Gary Cohn told reporters Friday. "That was a big topic where many of the European leaders talked about these global agreements ... without the United States it's sort of missing a big gap when you take the biggest economy out." "He digested that," Cohn said. "That was a meaningful moment to him." "His views are evolving" on the Paris climate agreement, Cohn also said.